One of the reasons why everyone loved Windows 7, besides its stability, was the Aero glass design. From the Window frames to the Title bars, the start menu and also the taskbar, it was everywhere. The transparent glass was replaced by opaque colors on Windows 8. Then Windows 10 came along and it even took away the colors, instead, replacing them with black and white. 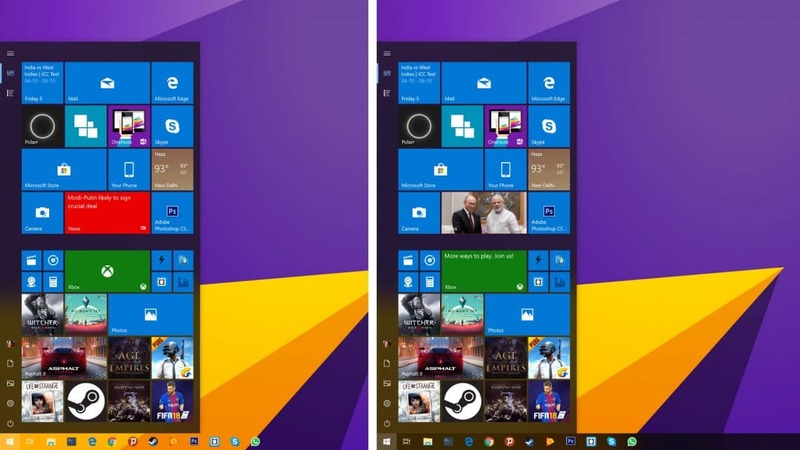 Windows 10 did allow users to get the colors back from the Settings. On the latest versions of Windows 10, the taskbar isn’t exactly opaque but its close to being that. If you were looking for ways to change the taskbar transparency, you now can. Now, we’re not talking about a registry tweak that lets you increase the taskbar transparency a little. 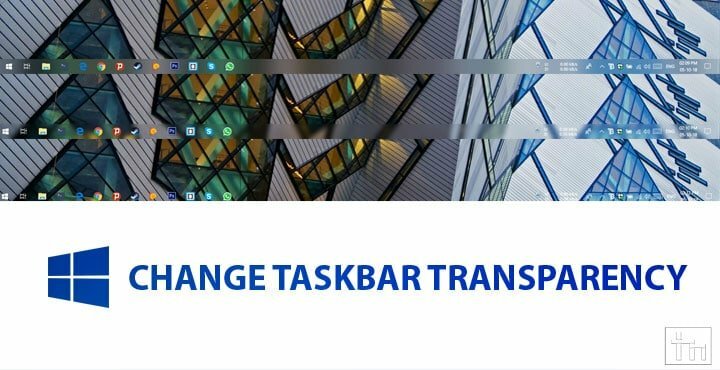 We bring you a third party tool called TranslucentTB, which even lets you make the taskbar completely transparent. We’ve previously been able to do this via a Rainmeter skin as well. The Rainmeter skin allowed you to set the taskbar completely transparent or add blur to it. TranslucentTB takes things several steps ahead. 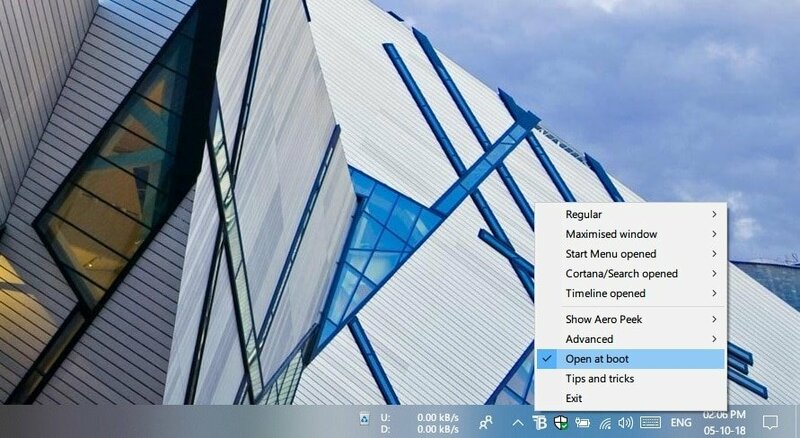 This is a free third-party tool which, as we said, lets you change the taskbar transparency on Windows 10. What’s better is that it lets you set different transparency values for different situations. For instance, a transparent taskbar doesn’t look as great with the start menu open, does it? TranslucentTB lets you define how the taskbar looks when the start menu is opened versus when it is not opened. Similarly, you can choose a transparency setting for when the action center or open or when a window is maximized. Not only that, your options aren’t limited to transparent and opaque either. The tool lets you choose between Normal, Clear, Blur and Fluent. Download the latest version of TranslucentTB from its GitHub page here. Install the TranslucentTB-setup.exe file you’ve downloaded. When installed, you’ll find its notification tray icon in the taskbar. Right-click on the tray icon and you can adjust the taskbar transparency according to your preferences for different situations. You’ll also want to turn on Open at boot so that you don’t have to manually start TranslucentTB everytime you boot your computer.